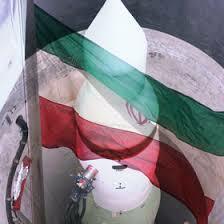 Our task in Iran is to make sure that the Iranian nuclear programme is exclusively for peaceful purposes. We are at it for the last five years. In the last four months, in particular, we have made quite good progress in clarifying the outstanding issues that had to do with Iran´s past nuclear activities, with the exception of one issue, and that is the alleged weaponization studies that supposedly Iran has conducted in the past. Several reports (here and here) indicate that Iran continued its nuclear weapons program beyond 2003 when it was “estimated” to have stopped, according to the December 2007 National Intelligence Estimate (NIE). Material showing details of warhead design and how it would fit in a Shahab-3 missile. The Shahab-3 is based on the North Korean No-dong missile and has a range of about 1300 km, which would encompass Israel, Turkey, and Afghanistan. The evidence presented to the Security Council contradicts repeated statements by Iranian officials that the Shahab-3 was only for peaceful purposes, not weapons, according to numerous reports found here. This third round of sanctions was weakened in order to get consensus, according to these reports, because the December 2007 NIE made it far more difficult for the Bush administration to make a compelling case to other Council members. As one analyst put it, “The NIE put a stake through the heart of diplomacy on Iran.” The saga of Iran’s nuclear program and the U.S. “estimate” continues. Mark Clark’s post is a helpful update on the increasingly complicated situation surrounding Iran’s nuclear weapons program. One key takeaway from the post and articles cited within it is that the NIE undercut the attempts by the Bush Administration to place significant pressure on Iran. But another way to look at the NIE and the resulting watered-down sanctions resolution is that they have given Iran quite a bit of rope with which to hang itself. The Bush Administration and the next administration can claim that they have not assumed the worst about the Iranian nuclear program and the Iranian regime. They have monitored the situation, but not pushed for excessive actions without evidence. Now if those who support a more coercive policy towards Iran are correct, Iran will undoubtedly continue its efforts to acquire nuclear weapons regardless of U.S. or UN actions. If that occurs, presumably the evidence for those efforts will pile up over time. And having shown restraint on Iran this time, a future administration would probably have an easier time building a stronger international consensus for more coercive actions. This would make the success of those measures, whatever their content, more likely. Alternatively, if Iran really is not pursuing nuclear weapons, no harm done. In other words, the NIE and the watered-down sanctions resolution could make it easier to pursue a more proactive coercive strategy against Iran in the future, presuming Iran continues to move towards acquiring nuclear weapons. My idea could be invalidated if Iran is actually getting close to acquiring nuclear weapons now, or if delaying a tougher sanctions resolution now causes Iran to cross a point of no return with its nuclear program. In that case, we would be trading a tougher sanctions regime now (which perhaps could have convinced Iran to end its program), for military action later (since it would be more difficult to dissuade them from continuing once they pass certain benchmarks). True, most estimates seem to suggest Iran is still several years away from acquiring nuclear weapons. But this is something to keep in mind. If Iran could acquire nuclear weapons in secret, delaying tougher actions might also be a mistake. It might simply buy Iran more time to debut a nuclear weapon. Tougher actions now, before acquisition, might be the best chance of stopping them, etc. In sum, under a certain set of conditions, the current approach taken by the United States and the international community may make it easier in the future to block Iranian acquisition of nuclear weapons, or gain an international consensus for coercive actions. That’s so, provided Iran cannot be dissuaded from acquiring nuclear weapons or could only be dissuaded now; that an Iranian nuclear weapon is several years away; and that Iran can’t successfully acquire nuclear weapons in secret. The question is, do those conditions obtain?